Are you ready for the holidays? I'm a couple weeks out from my due date, and have been trying to fit in some last-minute sewing projects before the baby arrives. My local Modern Quilt Guild hosted a Secret Santa swap the other weekend, and I made this mini quilt for Stefanie. She loves Moda Fabrics, and had requested aqua and red. So I picked a few prints from Bonnie & Camille (red dot), Sweetwater (red crosshatch), Cosmo Cricket (woodgrain) and Kate Spain (text print). The pattern is Jeni Baker's "Stacked Windmills" quilt block feature in Modern Bee, and I made it just a bit larger for a 24" square mini quilt. My swap partner was Jayne, and she made me the most adorable throw pillow cover! It came with these cute nesting baskets in our nursery colors and a sweet little stuffed bird. I was definitely spoiled in this swap. The Imagine Circle of do. Good Stitches has been making some fun blocks this winter. In November, I made the Starstrip Block (center) for Heidi. For December, I made the Weathervane Blocks (left and right) for Rachel. I love being a part of this group, because it really gives me the motivation to sew something new. I always enjoy the challenge to use up fabrics from my stash! Above in the center is a sneak peek of my current quilting project using Heather Bailey's new collections with FreeSpirit Fabrics. Looking forward to sharing more on the blog tour next month! 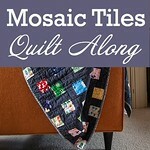 I'm hosting the Mosaic Tiles Quilt Along on my other blog Craft Buds, and it's been really fun so far! These are a couple of the projects made by guest bloggers Amy and Sarah (above, left and right). 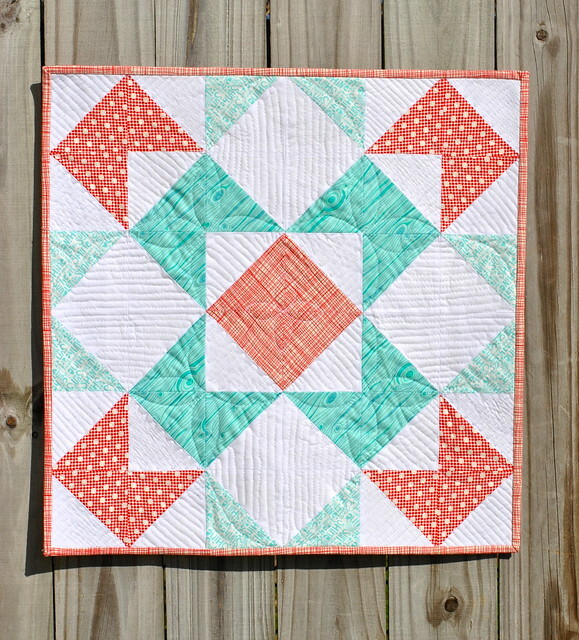 If you want to join the quilt along, there's still plenty of time to grab a copy of Modern Bee and sew along from now through February 14th, and you may win some really awesome prizes! If I wasn't so tired, I could probably enjoy this post more. 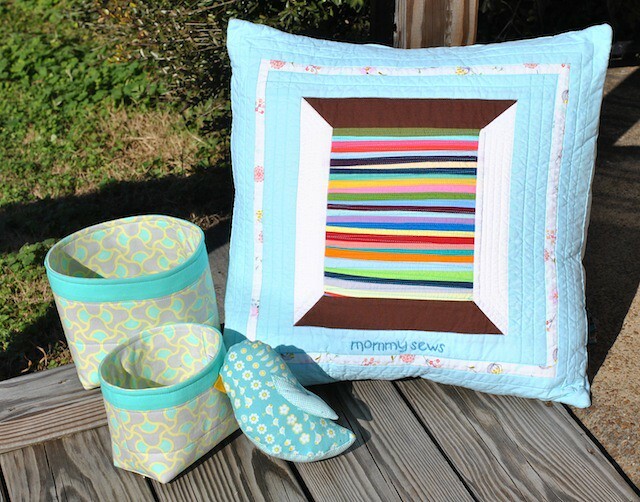 :) But your work is adorable and l never tire of mini quilts.